Brick shaped retaining wall matching house. 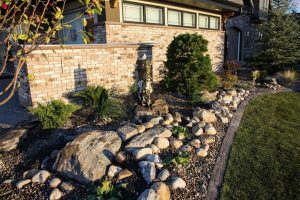 Brown curb appeal - Curb Design Inc. Brick shaped retaining wall matching house. Brown curb appeal in-front of a Calgary home.